By Xah Lee. Date: 2019-01-27 . Last updated: 2019-01-27 . 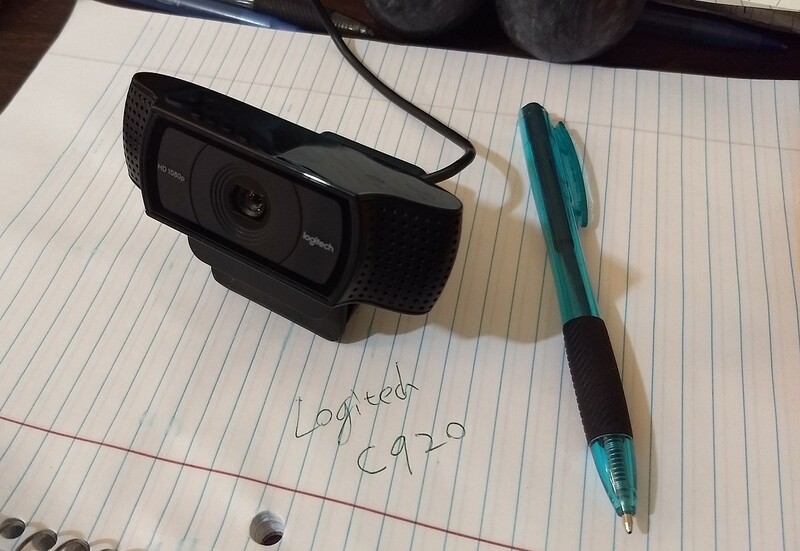 Here's a review of the Logitech C920 webcam. In short, don't buy, because it cannot focus anything close. Built-in dual stereo mics with automatic noise reduction. BAD. All the review sites say it's best. I bought it. It has problem focusing correctly for anything within a forearm length. It can focus correctly if something is really close, like 5cm, but when you bring somethnig close, such as a keyboard, within 50 cm but not as close as 5cm, it tries to auto focus but its final choice is blurry. Lots 1 ⭐ review have similar complaints. Also, the other model C922x, isn't better. here's a video made with the Logitech C920 Webcam. you can see, the video is blurry. Right now (2018-12-19), am not sure what other webcam to get. i have logitech C920, but it cannot autofocus for anything that's within forearm length. That means, i can't video review keyboards. here's its marketing speak, for completeness. 【Auto focus and beauty Effect, not afraid of backlight】-- HDR sensor and facial-enhancement technology optimize image and beautify your appearance; automatic low-light Correction, provide outstanding performance even in dim or poorly backlight settings. 【Change the background according to your needs】-- background replacement function allows you to integrate your live image and any background scene while streaming (powered by personify). with Multi-scene application, you can easily use in major social media: Facebook, Twitter, YouTube etc. 【Faster, smoother and clearer】-- latest full 1080P HD Pro webcam provides a much more clarity video calling, streaming, conferencing, Max Resolution up to 1920 x 1080 pixels never miss any details. Benefit from H.264 compression, you can get faster, smoother HD video experiences. 【Unique design and Features】-- built-in dual mics with automatic noise reduction, capture natural Stereo Audio within 3 meters coverage, make sure everyone hears the Real You. Adjustable clip base securely access to any laptop, LCD monitor, desktop or tripod. 【Excellent compatibility webcam】-- compatible with Windows XP SP2, 7, 8, 10 or later, Mac OS 10.6 or later. Supports smart TV, TV Box, Chrome OS, Android V5.0 or above, and Linux, Ubuntu, Xbox One etc. if you goto amazon Buy at amazon you see people have video review of it, in comparison to the logitech. This nameless one from china, does good, while the logitech one, cannot focus. also, the logitech was $20 more expensive just a few months ago. also, if you search reviews, many sites says the logitech C920 is the best. These days, its hard to find proper reviews. All's clickbait copycat sites fried up by Facebook twittec etc. by the way, the logitech C922x have the same focus problem. i've also read reviews of other expensive logitech ones. This one logitech brio webcam for $200. it'scrap. So, never buy logitech's webcam. however, for gaming keyboards and mouse, i trust logitech, they got the best, and best non-instrusive and great software.